After almost 2000 km we have ridden so far, we change sides and ask ourselves why we have not bought an e-bike (pedelec) earlier. We have made our first rides on the Weser cycle path. 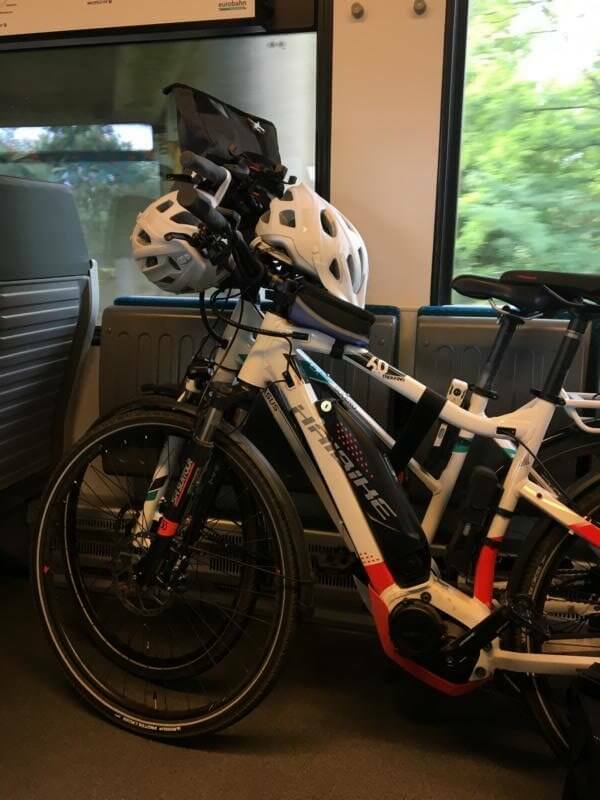 Before the actual report about our pedelec experiences on the Weser river cycle path, we would like to answer general questions that we also asked ourselves before we bought our great pedelecs. Why did we buy a pedelec? Lack of sport, frequent traffic jams on the way to work at a relatively short distance and the possibility to commute by bike without sweating were the biggest arguments for the purchase of a pedelec. The decision took some time. After a test drive with a pedelec, the purchase was quickly decided. Maybe this article is also helpful for you when deciding to buy an e-bike or pedelec. What is the difference between an e-bike and a pedelec or S-Pedelec? All wheels are motorized. The difference lies in the type of support. With a pedelec the motor support stops at 25 km/h and with the faster S-Pedelec at speeds of 45 km/h. The S-Pedelec must therefore be insured like a moped in Germany and may not be used on cycle paths (cost insurance approx. 70 euros /year). The supposed speed advantage is also to the biggest disadvantage of the S-Pedelec: You have to ride with it on the road and cycle paths are usually taboo. With Pedelec and S-Pedelec you have to pedal constantly to get the motor support. The actual e-bike rides like a moped without pedal support. Also here you need an insurance plate and you are not allowed to ride on bike paths any more. In addition, it is compulsory to wear a helmet on an e-bike. The term e-bike is generally used for all three types. How fast does a pedelec go? The pedelec is basically as fast as you pedal. The engine support stops at 25 km/h. If you drive faster, you kick “alone”. With Yamaha and Bosch engines, you have minimal friction from the engine at higher speeds. After the first 2000 km we can say that the normal support is enough for us. How far can I get with a pedelec? The question about the range of the pedelec we asked ourselves again and again before the purchase. There is no clear answer to this question, as too many parameters can simply affect the range. In general, of course, the performance of the battery has a significant influence at first. The most common versions have 300, 400 or 500 Wh. Simply said: the higher the battery power, the longer the range and less often the battery needs to be charged. We therefore focussed directly for bicycles with a 500 Wh battery. Range is still determined by your driving style and comfort. In the lowest support levels (Eco + mode of the Yamaha PW motor) the range is indicated with up to 200 km. The stronger the motor, the higher the power consumption of the battery. After our previous tours we usually use the standard support (Yamaha range 100 km) or Sport (Bosch CX engine: 90 km). Honestly, our motivation determines more the range of the bike tour and less the battery performance. How often do I need to charge the battery of my pedelec? The displays of the pedelecs show you relatively exactly how full the “tank” still is. Loading your pedelec is a simple procedure. Usually you can charge the battery directly at the bicycle or even directly, when removed from your bicycle. The chargers from Yamaha and Bosch are relatively compact (smaller would of course be even nicer), so you can take them with you on tours lasting several days. The charging time for our pedelec batteries is approx. 4 hours. You can recharge the battery overnight and would be 100% ready to start again in the morning (at least your bike). Insurance for pedelec or e-bike? Especially since a pedelec, S-Pedelec or e-bike is more expensive than a “normal” bicycle, we recommend that you check the conditions of your household insurance again. It may well be that your household insurance does not necessarily cover the value of the pedelec. There are now some insurance companies that offer special (and affordable) e-bike full cover insurance. It may make sense to take out supplementary insurance. Be sure to read the terms and conditions. Some insurance companies specify the type of bicycle lock. For us, Abus folding locks are sufficient, which are compactly mounted on the bicycle and should provide good protection. Which pedelec is the right one for me? For the right choice of pedelec you have to do many test rides. Take your time to compare different bicycles and motors. For example, we ride trekking bikes with the Bosch CX motor and the Yamaha PW motor. Both motors have their advantages and disadvantages: The Bosch motor has a power of 75 Nm and the Yamaha motor “only” 70 Nm. During acceleration, the Bosch motor also gets off to a quick start with the control system. You only pedal a little and the motor accelerates. The acceleration also begins very directly. Yamaha or Bosch motor or something completely different? With the Yamaha motor, acceleration is slightly slower. In comparison, it looks as if the Yahama motor reacts a little more comfortably. Once you are travelling at cruising speed (and it’s really very fast) the motors don’t really differ anymore. Both manufacturers also offer simpler motors that are less powerful. We were not really pleased with the weak motors, as the price differences were small. Other manufacturers are Shimano or Brose, which we have not tested any more. If you buy two pedelecs you should consider carefully whether you choose the same motor manufacturer for your pedelec. It can make sense, for example, to exchange batteries with each other for different remaining running times or to take only one charger with you on the tour. The batteries and chargers from Bosch and Yamaha are not compatible to each other, which has already proved to be a disadvantage on one or the other track. Do I need a bicycle helmet for a pedelec? At the beginning we were very sceptical about the helmet. Impractical and just “why” was our attitude to the “eggshell”, which we have never worn on the normal bike. After a few kilometres it quickly became clear that such a helmet could be relatively practical and that the purchase would be disproportionate to a head injury and its possible effects. Meanwhile, we can no longer imagine normal cycling without a helmet. We strongly recommend that you wear a helmet to protect your head. That you’ll never need it! What does a pedelec cost? You can buy pedelecs everywhere. Discounters and DIY stores offer bikes for less than 1000 euros. The prices for pedelecs are, of course, higher than those of conventional bicycles. In our experience, you should think carefully about the purpose for which you want to use your bike. If you save here on the wrong end, you will probably not enjoy your new pedelec. The very cheap bicycles usually only have weak batteries and even weaker motors and components (brakes, gear shift, etc.). Spend a little more so that you can ride a good bike and have a lot of fun with it. Also take a close look at the equipment of the pedelec. We have further “optimized” the pedelec after the purchase by exchanging parts. 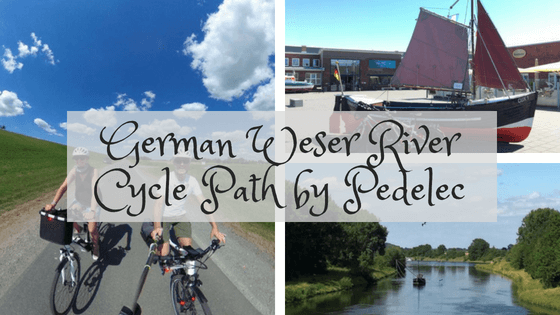 After so many thoughtful considerations, we plunged into the adventure of “Pedelec” and chose the German Weser river cycle path as our first tour destination. According to its own statements, the Weser river Cycle Path is a “four-star” cycle path and easy to cycle on. 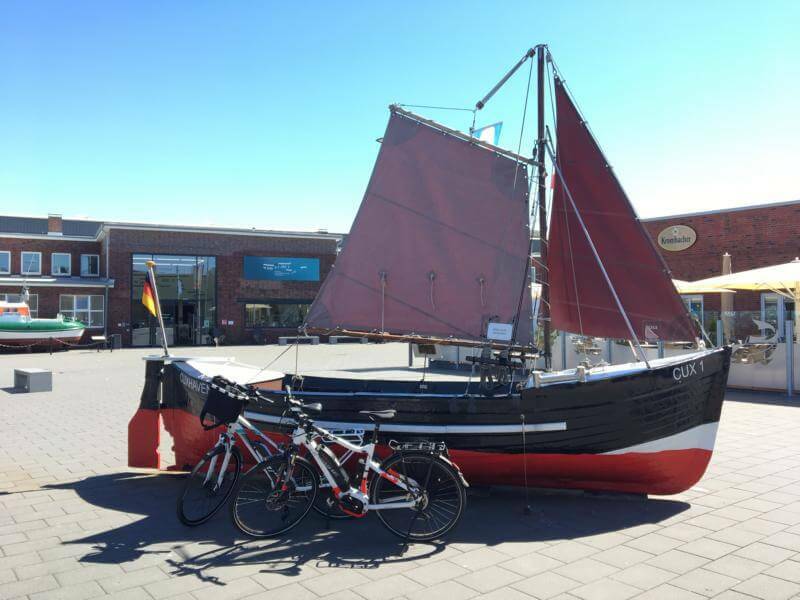 You can ride it on a distance of just over 520 km from Hann.Münden along the Weser river downstream and almost always with a slight descent to the North Sea to Cuxhaven. Theoretically, you can also double the distance, as the Weser river cycle path is signposted on both sides of the river. In addition to the actual route, there is the “alternative route”, which will certainly not be less beautiful. On the way you only have to look for the small signs, which are usually more than often to be seen. We really didn’t have to search in most places. The route is grouped into 15 sections according to the official service booklet. There are plenty of hotels and hostels, restaurants, beer gardens and cafés described on all sections. For the start we have chosen our own sections with a length of approx. 60 km. By the way, you have great possibilities to reach the larger starting points of your sections directly by train. More about train & bike in Germany in the further article. 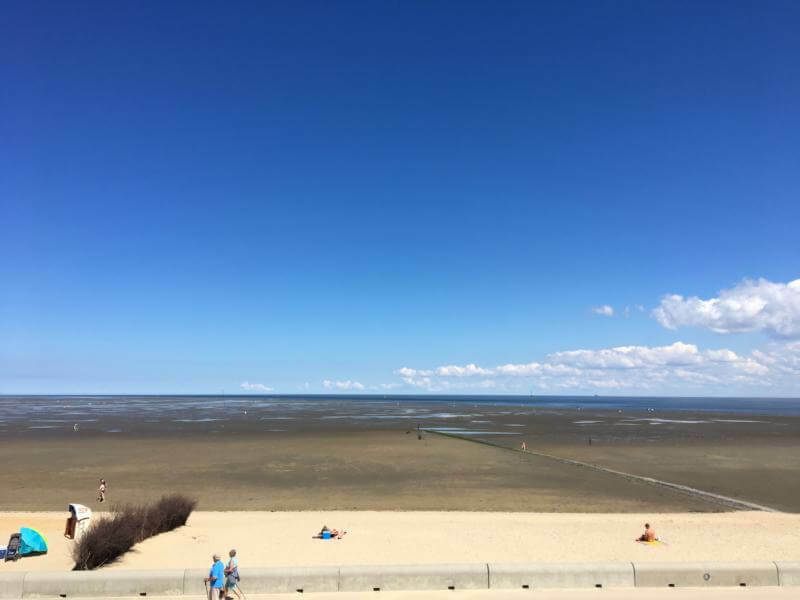 We rode the path in a the wild north – south – change from Cuxhaven (Nort Sea coast) to Bremerhaven, from Bremerhaven via Brake to Lemwerder, from Porta Westfalica via Nienburg to Achim, from Achim to Vegesack and from Hameln to Porta Westfalica. The first sections from Hann.Münden to Hameln are still pending, which we will certainly deal with soon. During our tours we never had problems to take the bikes on the train. You also get to know the railway and its stations in a new manner. A real highlight, however, are the elevators at the stations, which all have different widths and depths and, above all, different speeds. So take some time for a track change, which you won’t do as fast as on foot despite (or because of the bicycle). Regardless of this, the train ride is relaxing. The pedelecs stand securely in bicycle holders and cannot fall over. It is nevertheless recommended to lock the bikes, as the seats are often on the floor above the bicycles. In Cuxhaven you should actually arrive on the last section, if you start from the south. For us it was the starting point for a passionate hobby. 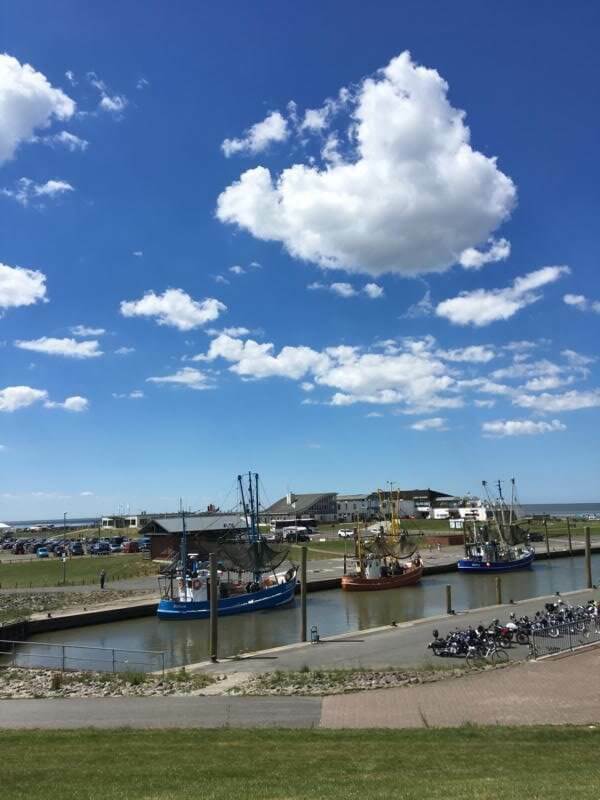 Arrived by train at the “main station” Cuxhaven, which is also the final station or the last station before the North Sea, we passed the harbour area and the beach areas in Duhnen and Döse, which improved more and more over the last few years. in terms of infrastructure for tourism. Depending on the tide you can see the North Sea or the endless Wadden Sea. Actually, it’s almost too bad to just ride by here. You ride once on the dike and then again under the dike top until it will go behind Saalenburg through the nature reserve along the dike road and the many small farmhouses to Dorum and the small fishing harbour in Dorum. Take time for a break at the harbour and the snack bars. If you don’t have much time you should at least have a delicious fish sandwich. It couldn’t be fresher. Well strengthened we continue towards Bremerhaven along the dikes. The tracks on the last sections are really well constructed and the flat country allows every cyclist to make good progress. From Dorum it is going to Wremen and the kilometres just fly there. Shortly after Wremen you can already see the first harbour cranes of Bremerhaven. 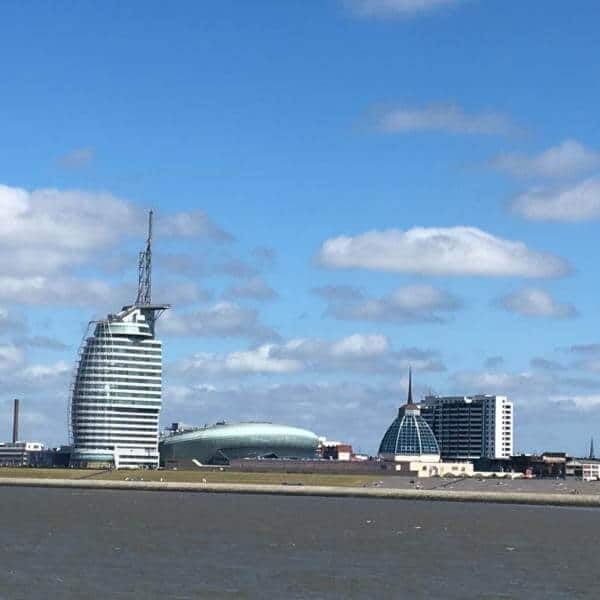 Here the Weser river cycle path, which otherwise leads almost only through the middle of nature, has a very industrial character and leads through the imposing harbour facilities of Bremerhaven. Lots of new cars wherever you look, container gantry cranes, large ships and, for some time now, cruise ships of all kinds, which have moored on one of the longest sea quays in the world. The world gets bigger with the pedelec – you can see corners that you would otherwise only pass by car or never reach in the first place. Fixed by the first stage of our pedelec career, we immediately thought about how we could make our bikes even better. When searching for “E-Bike or Pedelec Tuning”, numerous search results lead to alleged chip tunings with which you can set the speeds of the motors to seemingly infinite for little money. Apart from the risks and the loss of insurance cover, the narrow and sometimes bad cycle paths were not an option for us. We have therefore decided on a “comfort tuning” to increase the comfort. With a few changes you can also “pimp up” your pedelec. First official action was the exchange of the grips for grips with mini bar ends. The exchange was extremely easy, because on one of the bicycles the grips were only secured by a screw with clamping (Haibike). With the second pedelec from Pegasus, the rubber grips could be easily removed after rinsing some water between the grips and the handlebars. The grips are available with mini bar ends in different lengths, which allow a change in the handlebar position. We use the lengths 2 and 3, which still look relatively elegant and are comfortable to drive. The next optimization was to retrofit a saddle spring support to cushion unevenness and potholes on the bike path. As everywhere you can plunge into high costs. We have bought relatively simple saddle spring supports which fulfill their purpose of suspension well for us. Tip: there are many different diameters of saddle tubes. 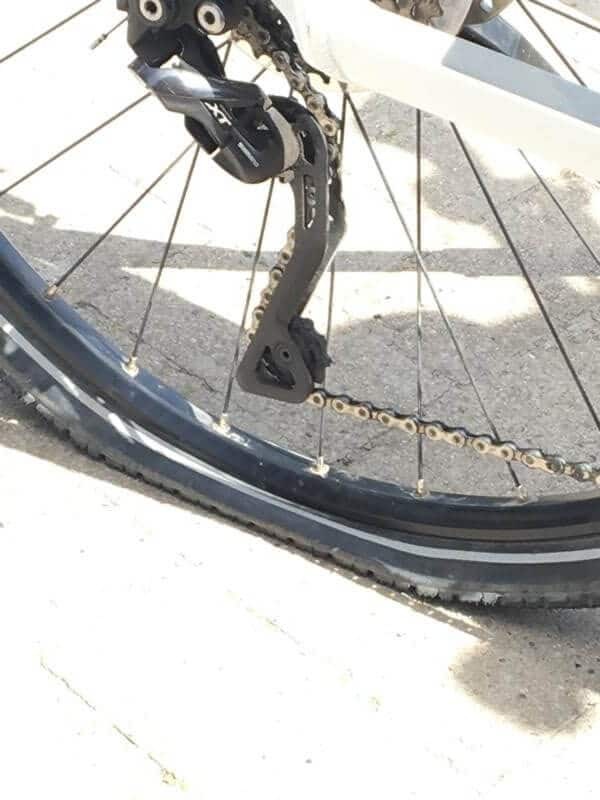 Just pull your saddle and tube out of the bracket. As a rule, the diameter is hammered onto the pipe. The most common pipe diameters are 27.2 and 31.6 mm. At the same time we have exchanged the standard saddle of the pedelec for a cross-country version. The saddle is simply fixed with screws and can be changed very quickly. Here the added value of your pedelec can be significantly increased with relatively little effort. ” Rail-bicycle-experienced” we started in Bremerhaven. After 2-3 kilometres through the town you will reach the ferry to Nordenham on the western side of the Weser. Even for us, who are from the region, it is exciting. 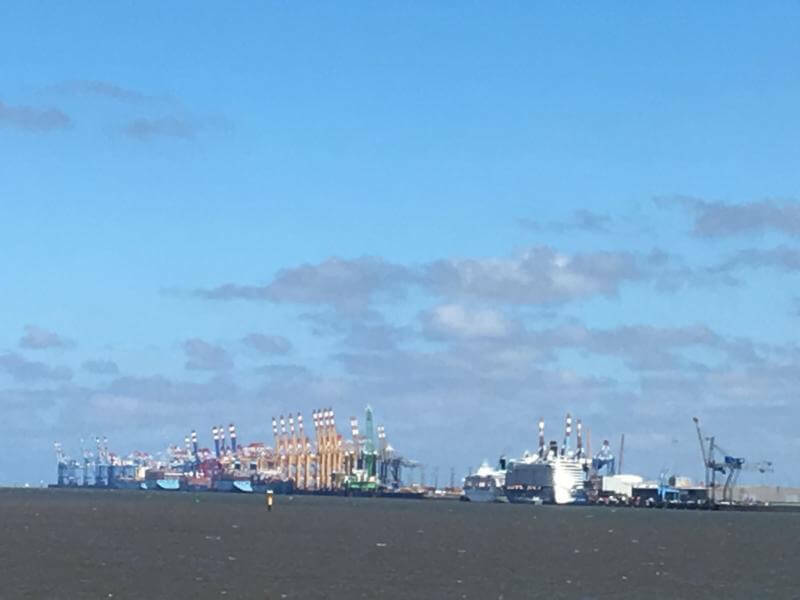 From the ferry you can see the skyline of Bremerhaven and the endlessly long quay with its many container gantry cranes. What a picture when the weather is good! Arrived in Nordenham, after passing through the city, you take the actual Weser river cycling path along the dike towards Brake and past the Unterweser nuclear power plant. Along the way you will see many herds of sheep, which are used for the care of the dyke. 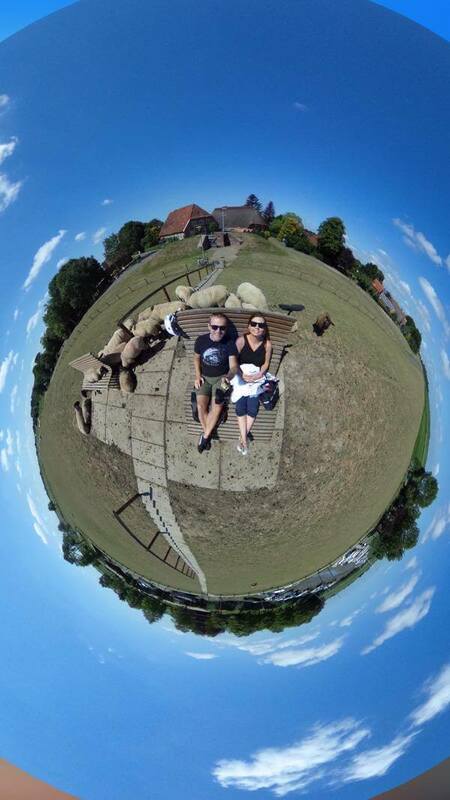 During a short break on the dike in Absen we sat on the park bench in the middle of a herd of sheep. 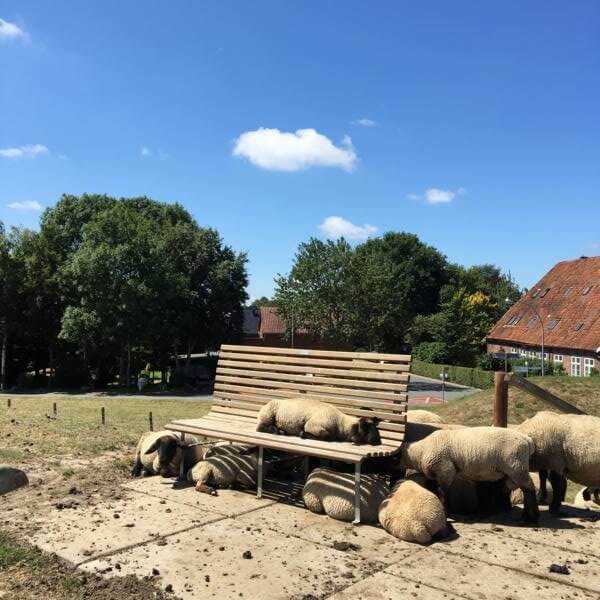 Fortunately, sheep are relatively peaceful animals, unless they are challenged on their park bench! 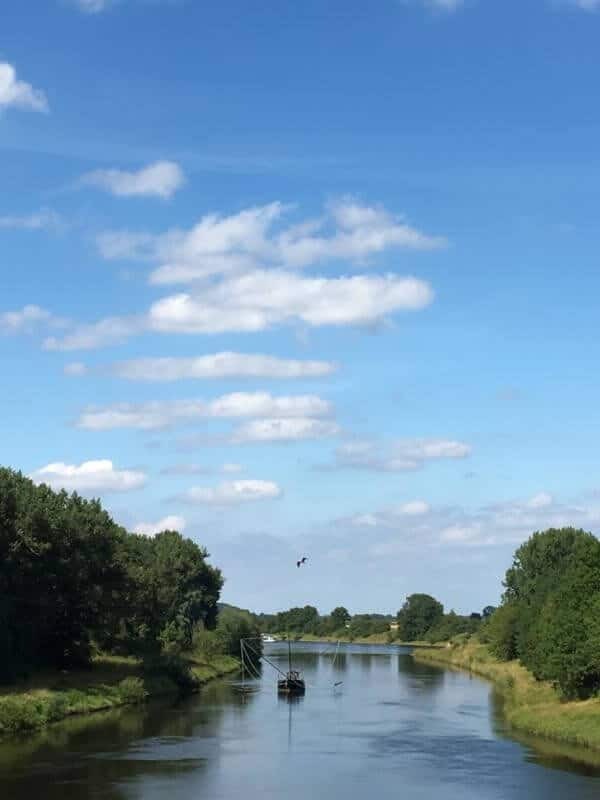 Back on the Weser cycling trail, you quickly head towards Brake at many small, tranquil villages and in Lienen over the Huntebrücke bridge towards Lemwerder. Places like Ranzenbüttel, Motzen or Ritzenbüttel follow before you can see Abeking & Rasmussen and Lürssen, two of the world’s most famous yacht builders, all in one place in the city of Lemwerder next to the Weser river. Our section was finished in Lemwerder. 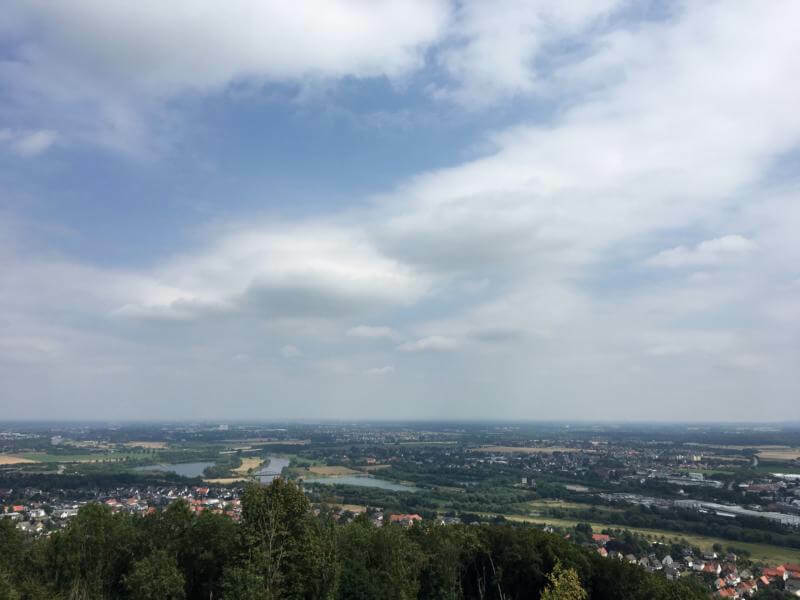 A look-out tower with a beautiful view over Lemwerder and the Weser is located behind the Weser ferry to Vegesack (one of the northernmost districts of Bremen). For a break we recommend the crossing with the Weser ferry. With a bit of luck you can see the insane and unaffordable super yachts at the equipment quays before they are delivered to their often anonymous buyers. Directly on the right side behind the ferry terminal you will find some rustic and cosy restaurants and beer gardens (all affordable again). A few meters further on is the rail station. After these daily sections and the decision for the correct pedelecs we came then to the taste of the bicycle journeys. 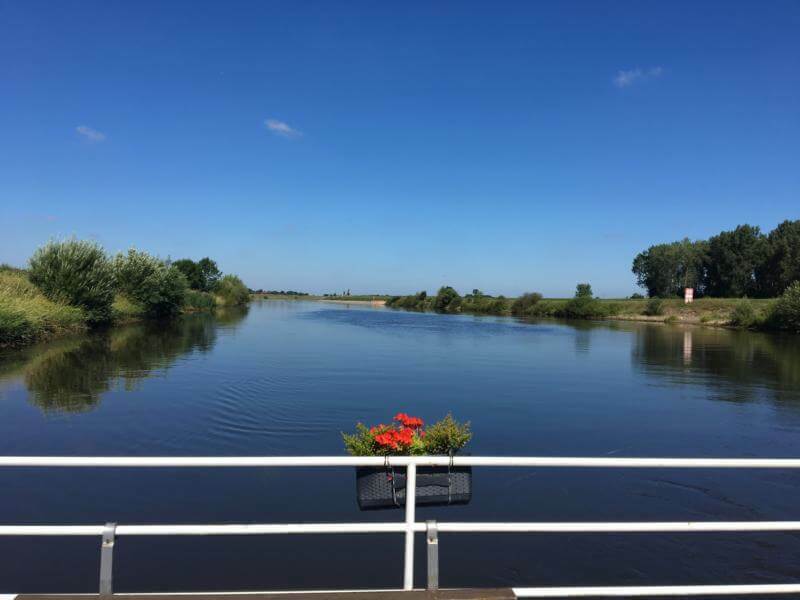 The Weser Cycle Path is the perfect starting route – easygoing and with a very beautiful landscape. We could not wait for the new weekend and the plans for the tour were quickly set. The distances should become longer and also have an overnight stay. No spoken, done. Riding the train and bike was no problem for us. We had installed the railway app on our mobile phone for a long time and the app for the Weser Cycle Path also helped us with many questions. We had not considered the number of accommodations in the “big” cities in our planning. If the price for the overnight stay does not matter to you, then you should book your overnight stay destinations in advance. We were very surprised how “popular” e. g. the accommodations in Nienburg on the Weser could be. Finally we found a nice place in the hotel “Zur Sonne”, where also the bikes had a safe shelter. On this part of the way you ride as close as on only a few other sections directly along the Weser, which is still a relatively small river here. We left Minden and Petershagen to the left to reach our destination Nienburg. Through Schlüsselburg (see Scheunenviertel) we passed Stolzenau and crossed the Weser to Nienburg. One of the experiences of the pedelec tours is a completely different perception of the surroundings for us. Where we drove simply along on other holidays by car, we probably saw many other great (and small) things just because of the “deceleration”. 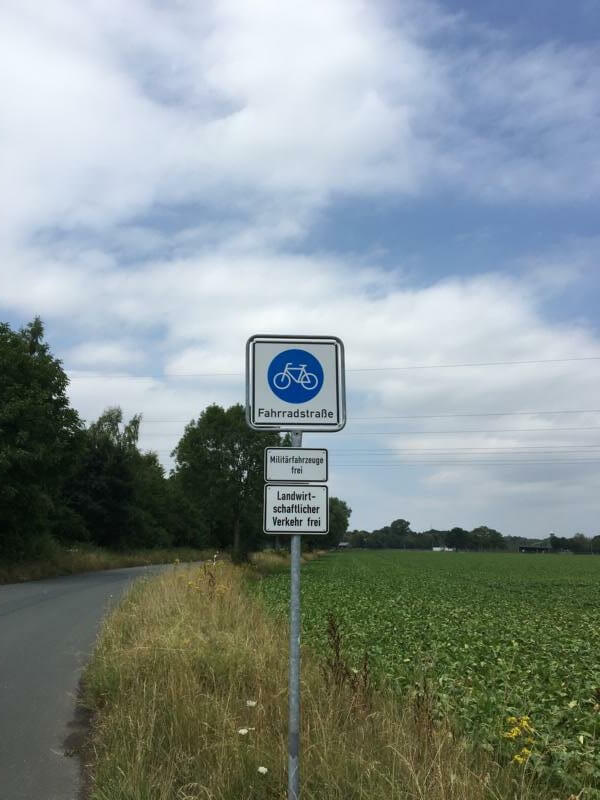 To be honest (sorry Nienburg), Nienburg would never have been on our holiday plan if the Weser cycle path hadn’t led through the city now. Thus we got to know Nienburg as a small lively town with a charming old town centre, which we will keep in good memory. After a relaxing night we continued north with recharged batteries (pedelec & human). 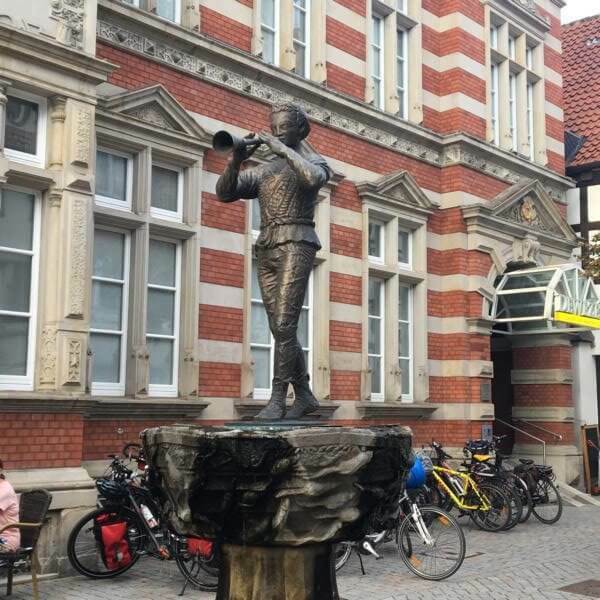 We made a short stopover in the beautiful city centre of Hoya, before we reached our goal of the section by crossing Verden (on the river Aller) back to the Weser with Achim. The sections between Porta Westfalica and Achim lead in most cases completely through nature, so that there is hardly any traffic. Hard to imagine, considering how densely populated Germany actually is. The conclusion of the ride: our shaky bike bags are not nice anymore. As a summary: better bike bags are needed. The said bike bags were from a discount store and fulfilled their actual purpose of transport. They were not rainproof. An additional protective cover should ensure this function. So why buy new bike bags? We would not have bought new bike bags for easy tours. If you travel longer distances you will have to take off your bags more or less often (train journeys, elevators etc.). Again, the question of comfort moved us to buy more reasonable bike bags. At the end, we decided on the popular Classic Backroller from Ortlieb. The big advantages are the little details: components can also be purchased separately in the case of a defect. The bags are really rock-solid and can be released with one pull. So far after the perfect summer we had no chance to test how waterproof the bags, which are closed by a roll down closure, really are. For little things we bought a handlebar bag with the click-fix system. The handlebar bag is extremely easy to attach to and detach from the wheel thanks to the “click system”. It does not affect the steering and water bottles, money etc. are quickly reachable. The selection of compatible bags for the system is almost endless and limited only by the own taste. As a smaller alternative to the handlebar bag, a frame bag is recommended, in which at least a mobile phone and money can be stored. The frame pockets are usually quickly attached to the frame using touch-and-close fasteners and fixed to the handlebars. We could not have completed our actual plan to drive from Nienburg along the Weser to Bremen because of the empty battery. So it was obvious to drive down this supposedly small section “just as quickly” again to close the gap on our map. From the small train station in Achim you are quickly back on the Weser cycle path, which is now leading somewhat remotely parallel to the Weser river. After a few easy kilometres you reach Bremen and see the first harbour areas. It becomes more urban without leaving the paths in the countryside. In Bremen the signs to the cycle path became a bit confusing. So it was all the better that we rode the pedelec down places in the city that we had never seen before, even though we lived here for a long time. 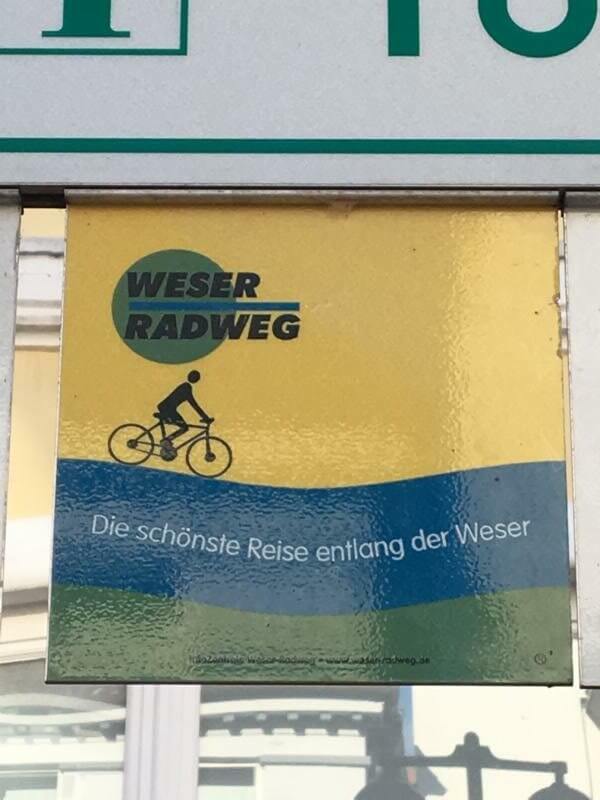 In Bremen you have the comfortable choice on which side of the Weser you want to cycle. The wind gets stormier and you have to pedal more. On the way to Lemwerder you drive directly along the Weser. Here you can already see the first big ships that feel like “arm length” passing by you. Not only the mountainous routes reduce the power of the pedelec battery, but also the “stiff breeze”, which blows from the front into your face. You will notice it on this apparently short section. After you left Bremen with the view of the steelworks industrial area on the other side of the river, you head down the river towards Lemwerder. On the final part of the section of the Weser Cycle Path in Lemwerder you will have the opportunity to see many great street art pictures on the embankment wall. There are really great graffiti! 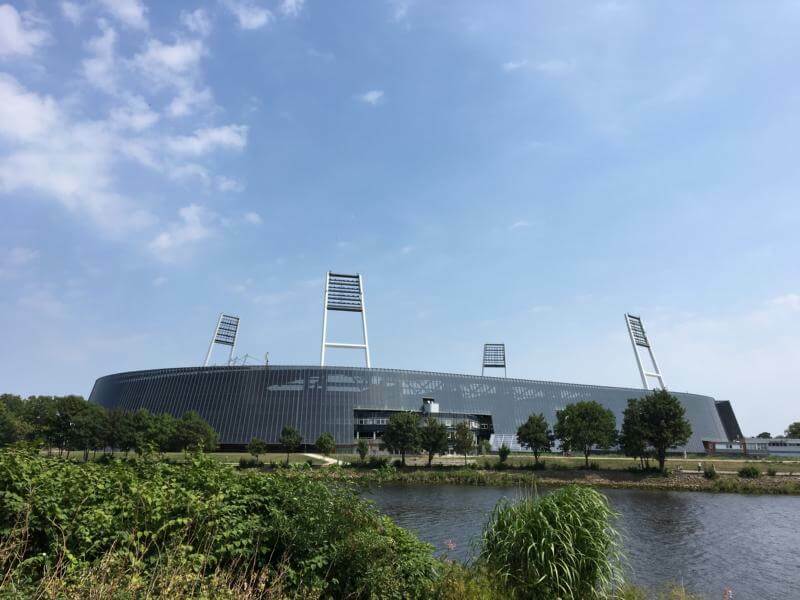 If you want to finish the day here, as we did, you can simply take the Weser ferry to Vegesack and from there you can take the train back. The station in Vegesack is in direct near to the ferry terminal. 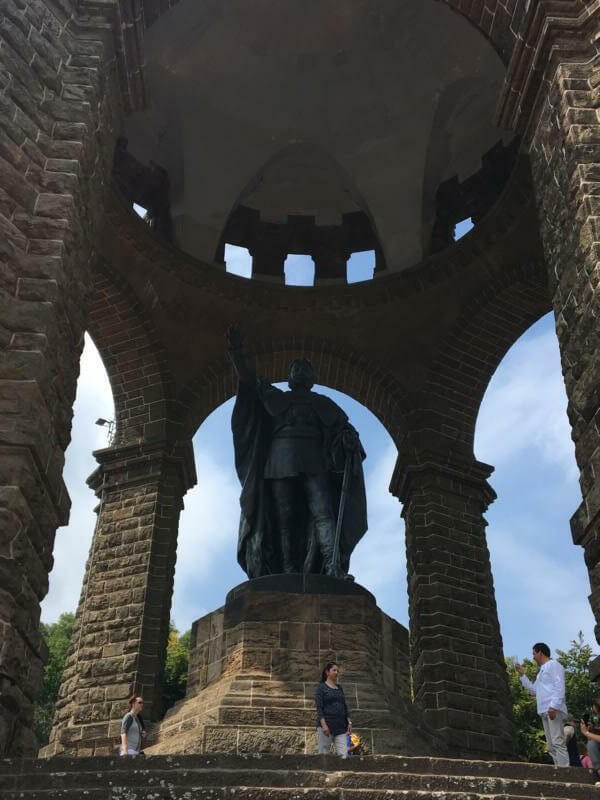 We approached the section from Hameln to Porta Westfalica with good plans. 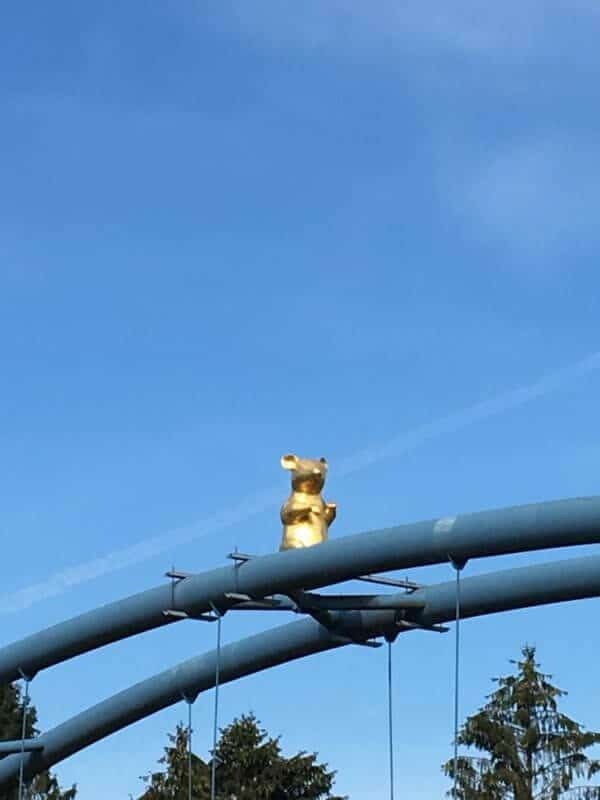 After a relaxing night in the city of the famous Pied Piper of Hameln (hotel suggestions on Booking.com via this link -Affiliate) we started highly motivated. On these sections you will ride through the Weser Mountains and the foothills. The area is really beautiful and the bike path is easy to ride. Passing the small village Fischbeck you come to Grossenwieden, where the day should take a completely different direction. Our way led with a small detour there. On our swerve we then helped another cyclist, who had fallen in a sloping curve. First decision of the tour: we should at least have a small first aid kit (affiliate link to Amazon) with us. After the short interruption and help we continued. 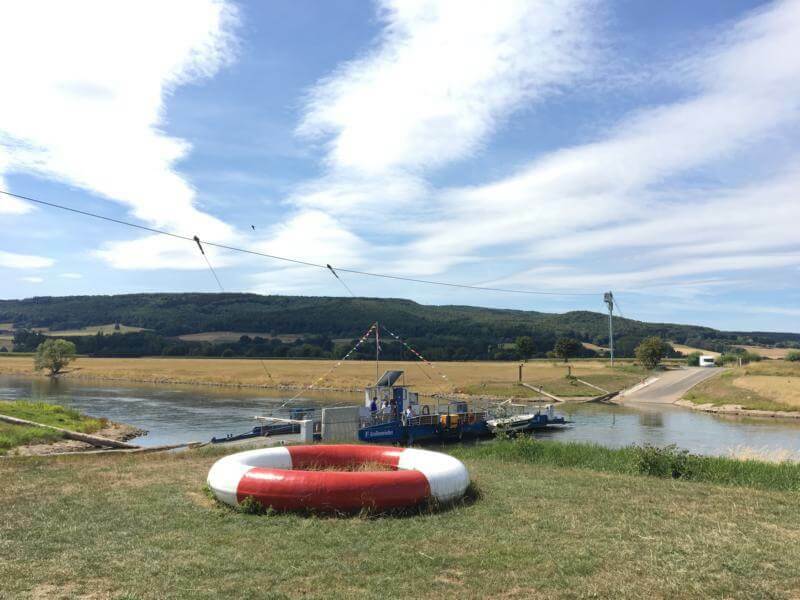 When you arrive in Grossenwieden, you have the option to take a yaw rope ferry across the Weser. Yaw-rope ferries use the current and generally have no motorisation of their own. The ferry is held by a cable. At the ferry pier we were then allowed to deal even more with technology, as a flat tire at the rear wheel abruptly ended the ride. Fortunately the breakdown was in a very busy place on the Weser cycle path. You’ll notice how helpful cyclists are. We were totally surprised and very grateful for the offered help. Breakdown at the pedelec – what now? Time to consider an emergency set. It may have been the absolute naivety that made us happily pedal without tools or spare tubes. The previous tours were so unproblematic! So we were sitting with our luck or just bad luck in a huge life belt on the ground and were stuck. Unfortunately, even the helpful ” riders ” had no suitable equipment with them. The learning curve for the next tours was very steep at this point: spare bike tube (affiliate link to Amazon) and tools belong in the panniers – that we never need it of course! Our rescue was a Schlauch-o-mat, which was “only” 12 km away. On a Sunday at over 30 °C, a “cigarette machine for bicycle tubes” seems like a gift from heaven! (Attention only takes coins! :-)). After this intermediate lap we changed the tube at the rear tire to do the final kilometres. We would have loved to have a look at the old town of Rinteln with the Old Town Festival. Our motivation and also the time pressure to take the right train took away our enthusiasm – maybe next year again with a lot of air on the tires! 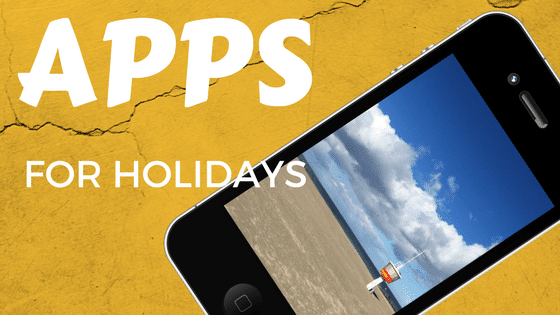 We recommend that you download common apps to your mobile phone that can help you navigate. Google Maps, for example, helped us a lot with the setting for cyclists. Also the app of the German Railway is very helpful to check connections and to book tickets (how we can still book the bike tickets remains a secret). Through Booking.com or AirBnB you can usually also book accommodation for the night at short notice. A good cell phone battery is required with every app that uses GPS. Strangely enough, the pedelecs do not have a USB port to use the existing battery. This means that an additional power bank is needed to extend the range of the mobile phone battery. Last but not least, a universal mobile phone holder is recommended: either in a frame bag or directly on the handlebar. When purchasing, make sure that the holder is designed to hold future mobile phone models securely. Since the purchase of our pedelecs we have cycled as much as probably not our entire life before the “pedelec age”. The start of this kind of vacation gave us a lot of pleasure and also the learning curves were sometimes involuntarily steep. With the right amount of humour and calmness you can also get over these curves. The Weser Cycle Path can certainly also be done wonderfully with the “normal” bike. Real uphill sections or other surprises do not cross your path. Already today we can say that the remaining section from Hann.Münden to Hameln will certainly be a great destination for another short holiday. If you are considering buying an e-bike or pedelec, don’t let yourself be influenced by the prejudices. We see the pedelec more as a bicycle 2.0 – technology finally is developing. If first “bikes” would be so fantastic, then pedals with chain and gears would never have made it to today’s bike. Do you ride pedelec or e-bike? What are your experiences? For a every trip, some preparations are of course necessary. My packing list is relatively simple. 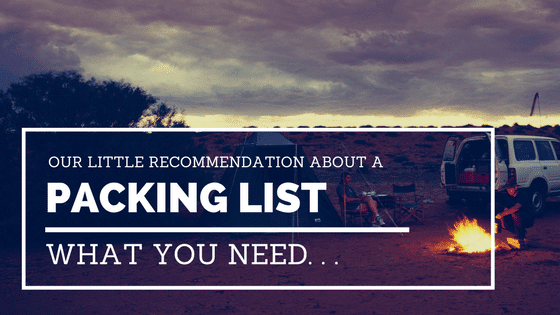 In addition to the suitable clothes for your holiday, the following items are definitely included and have proven to be practical. Note: the following links are affiliate links to Amazon. This will not increase the prices for you but it would help me to cover the costs for the travelblog here. The spacious bag, which can also be hung up directly, is a perfect match. Alternatively, small, closable freezer bags for short trips. Swiss Gear’s backpack has proven to be extremely practical due to its many different sized compartments. The e-reader fits perfectly into the backpack: either the Tolino or Kindle from Amazon are recommended. Space is always available for myÂ Ipad mini. The luggage scale must never be missing (for longer journeys). Costs little, weighs hardly anything and saves a lot of excess baggage charges. The Digicam – e. g. a good, compact Panasonic Lumix and the right memory card. If you don’t want to spend too much time with the memory cards, you can use a WiFi SD card to download the beautiful photos directly to your mobile phone or laptop via WiFi. Sounds strange, but I’ve already saved myself a lot of sunburns and Euros from the outrageously expensive sunshade rentals : the beach tent. Usually very light and easy to transport. For the appropriate music on the beach or on the mountain, a small Bluetooth loudspeaker is included. For longer journeys or business trips, a small iron is always included. And if you pay attention, you will notice that there are some links to Amazon. No panic but the blog here has to be paid for somehow. Clicking on the links will take you to the Amazon pages of the article. And if you buy something else you support the blog here! Anything important missing? Just write me! Google Maps Probably the easiest way to find your way with your cell phone. Of course, a good connection and corresponding data volume are required. Here A very good free offline navigation. Corresponding country maps can be loaded in advance. Google Translator Don’t understand anything in Athens? Not with the Google translator! Translate texts directly online. It doesn’t seem Spanish anymore! Sleeping Airbnb – it couldn’t be more authentic. Spend the night in a private holiday destination. Currency converter Travelling outside the EURO zone? With this app you can keep an overview of the conversion! TripAdvisor With TripAdvisor you get good tips and recommendations for interesting things in the region. Safe Travels Keep up to date with what’s going on around you. The German Federal Foreign Office informs about the app. Onleihe The app, which also uses the Bremen City Library – super practical for travel guides of all kinds. This presupposes membership of the library and of course goes far beyond travelling. You may check with your local library for similar offers. With the travel apps you are prepared for beginning. The apps are all free of charge. As always, a good preparation is a mobile phone contract with good international conditions, so that you will not be reminded of your holiday in an unpleasant way after the holiday via your mobile phone bill. What other travel apps do you find exciting? Write me and I will complete the list here!